If Dad likes to do it in the dirt, why not give him an iPhone case that shows his dirt cred while giving back to the sport he loves. iShock has created a sister company, PayBack Products, that “supports off-roading by donating a portion of the proceeds from every sale of every case to the good folks at the BlueRibbon Coalition to help keep public lands open for us to enjoy.” Talk about a win-win. Dad gets a cool case and the pleasure of knowing that it supports open public lands. 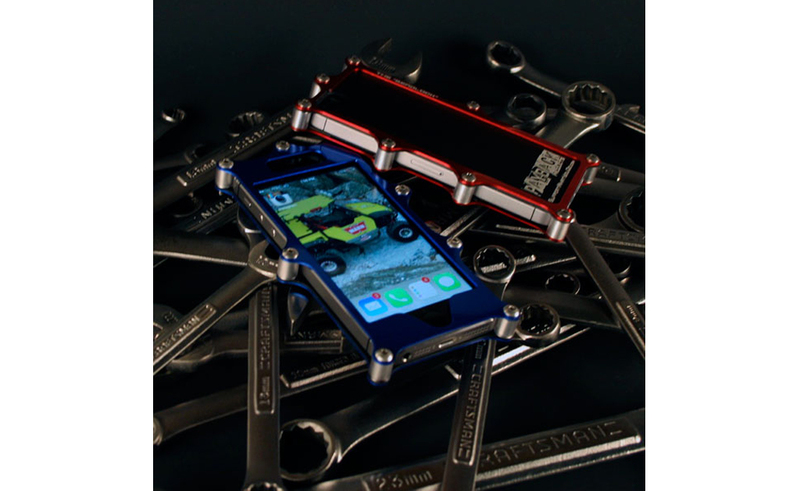 CNC-machined from 6061 billet aluminum with high grade stainless steel hardware, the Beadlock case is anodized in four eye-catching colors. Specially designed for iPhone 4, 4S, 5, 5S and 5C (with more models and products planned), the Beadlock protects your iPhone by sandwiching it between the billet aluminum and closed cell phone. Also, if there’s a message you want to give Dad, custom engraving is available.